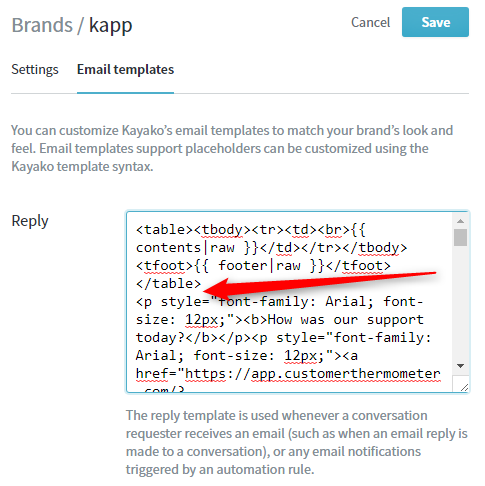 If you are using Kayako “Classic”, click here. Choose “Kayako” from the i) Embedded Thermometer type drop down box. Log into your Kayako account. Visit your ‘Admin’ panel and scroll down to ‘Manage’ > ‘Brands’. Option 1: Trigger a survey after 24 hours. 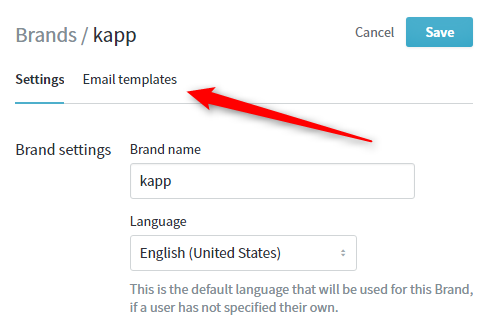 Scroll down the Email templates page. Option 2: Prompt for feedback with every reply. 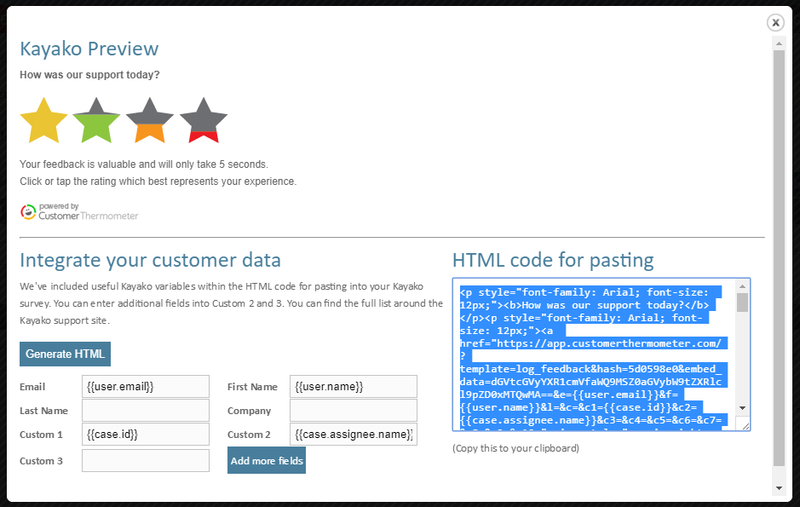 As an alternative, you are able to prompt for feedback within the footer of every reply. Ensure it’s added at the correct point. Do not overwrite the default code, or replies will not appear! Customize the HTML code to style as required. Click save to finish. That’s it, you’re ready to go. 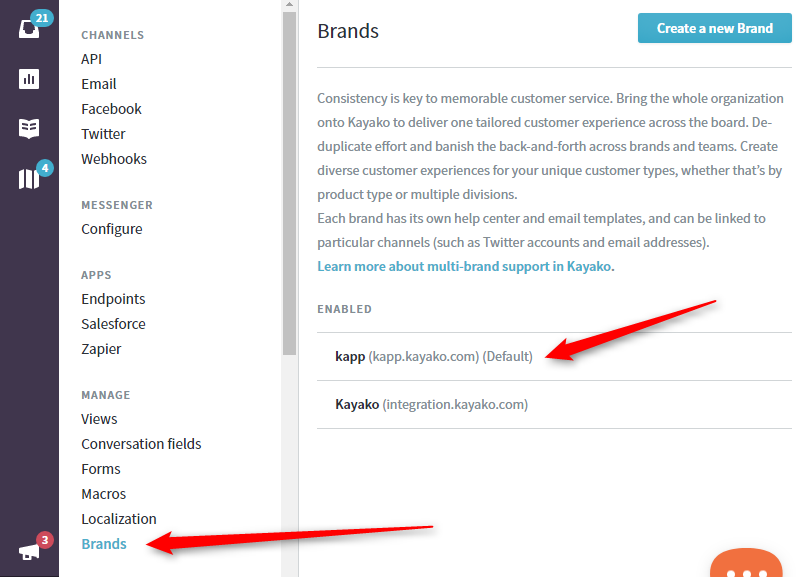 Your Kayako integration is complete. 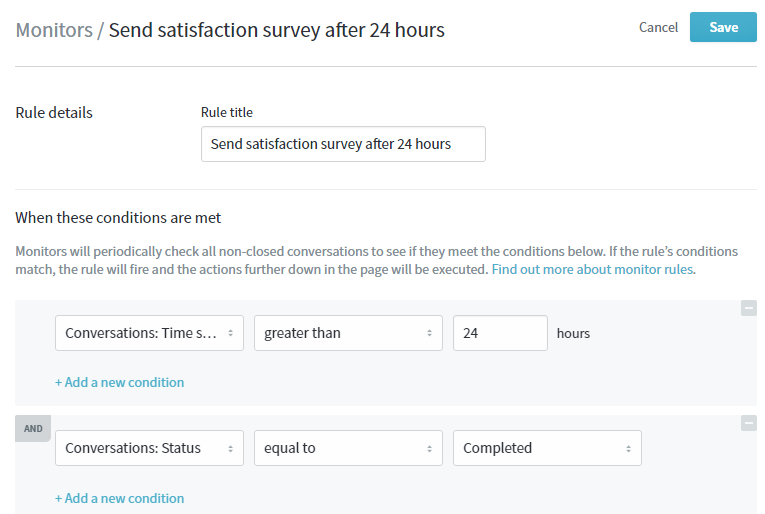 Responses and feedback will be registered, alongside your customer data from Kayako in your Customer Thermometer reporting. 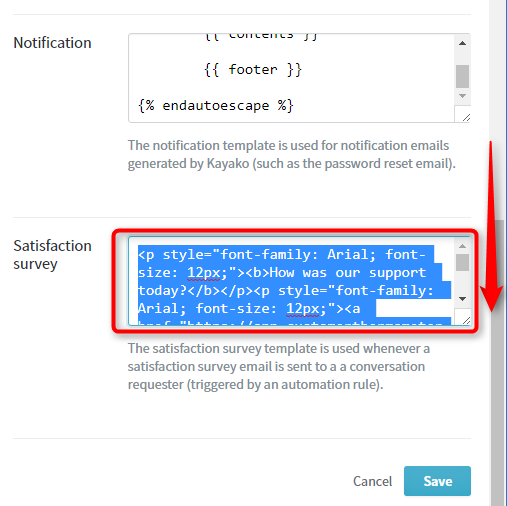 Once you’ve embedded your Thermometer into Kayako, you’ll need to finalize your landing pages. You can enable a comment field, add your logo, customize the wording, and lots more!